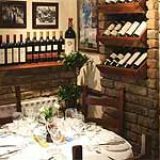 La Barca Ristorante has been serving regional Italian food for over 30 years. It is one of the only places left where you can have traditional dishes such as Steak Diane, Crepe Seuzette and Zabaglione prepared at your table. Do you work at La Barca Ristorante? 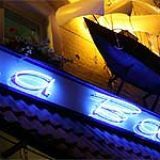 What did you think of La Barca Ristorante? Thank you to all the staff and chefs at La Barca. The best Italian authentic dining experience we've had out for a very long time. Grazie a tutti! Extremely disappointing experience here last night.Seems like a cosy traditional little italian restaurant, however when my friend ordered one of the most expensive dishes on the menu, Lobster spagetti, it was tough as old boots.When we raised this issue with the waiter, with a look of disdain he grunted and simply walked away. Not very customer friendly!! We decided we wouldn;t stay for coffee or deserts and when the bill was presented with a suggested service charge of 20% we declined and opted to pay only for our dishes. Again received with a grunt.To make matters worse when we went to the front desk to retrieve our coats from the manager I mentioned to him that 'that was a disappointing meal'. His staff obviously get there customer service skills from him as his response was to turn his back on me and funble around with the other coats. 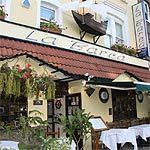 The service and food at La Barca Ristorante is superb. Their escalope a la Milanese is perfection and the crepes suzette (flambed at your table) is to die for. La Barca Ristorante comes highly recommended! I love La Barca Ristorante. I discovered it four years ago and it's still a firm favourite. 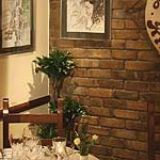 The food is excellent and so is the atmosphere - La Barca Ristorante is really cosy and friendly. 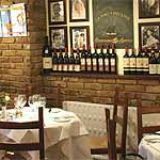 The menu is varied and the selection of antipasti is second to none.